What is Your Peak Performance? Your Peak Performance is a strength and conditioning company founded by Asma and Ryan Shollert in 2005. 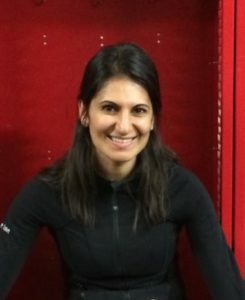 Combining Asma’s experience and knowledge on the science of training in all sports with Ryan’s competitive background and technical knowledge of skating and training as an elite athlete, they formed the perfect partnership to offer competitive skaters and elite athletes the edge on how to excel in their sport. By focusing on using functional and sport-specific training techniques to assist in developing core stability, balance, and improved body awareness they have succeeded in enhancing their skater’s performance. For over a decade they have been actively involved in the testing, strength and conditioning and development of beginner to Olympic level figure skaters. Their innovative training techniques have reached skaters all across Canada and internationally. Their love and passion for the sport, and desire to see success in all levels of skaters, has made this an area of specialization. Their reputation for consistently offering high-quality programs and developing great skaters led to creating groups catering to all ages of Learn to Skate, Power Skating, Figure Skating and Adult Skating for their community in Toronto, Ontario. Asma and Ryan’s primary objective is to inspire, educate and challenge their members to develop their best self both on and off the ice and take pride in offering the platform to nurture this in every individual that they work with. Ryan is a Certified Personal Trainer with the Canadian Professional Trainers Network (CPTN-CPT), an NCCP Level 3 Coach. He was a National Level Competitive Figure Skater in singles and pairs and also played soccer competitively. Throughout his athletic career, Ryan has received numerous awards. Provincially he has achieved a gold medal in singles at the junior level, and two silver medals in pairs at the senior level. 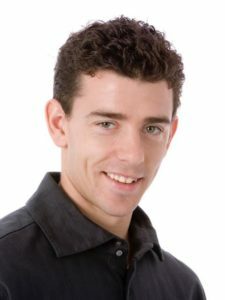 In addition to training, and coaching all levels of skating, Ryan also skates professionally, performing as Principal skater in local and international shows. In 2011 and 2013 he skated in the hit Dutch reality show “Skating with the Stars” (Sterren Dansen op het Ijs). Asma has a Specialized Honours degree in Kinesiology and Health Sciences from York University. She is a Registered Kinesiologist, Certified Exercise Physiologist (CEP), a Certified Strength and Conditioning Specialist (CSCS), Certified Personal Trainer & Assessor with the Canadian Professional Trainers Network (CPTN-CPT), and a Stott Pilates-trained Matwork Instructor. Asma is an all-around athlete having competed in many sports, with a focus in soccer, basketball, volleyball, and track and field. She currently engages in figure skating, basketball, and yoga. Aside from their extensive work with athletes in various sports, Asma has also trained Toronto Police recruits and Police Foundations students in meeting the Fitness Standards for the PREP and PIN Tests. Interested in learning more about Your Peak Performance and our programs?